DIT Ministers will be visiting a range of countries - both in and outside the EU - to boost the UK’s trade and investment relationships. If you think Ministerial engagement in these countries can benefit your business, please get in touch. DIT's free webinars are delivered by experts from both private and public sector organisations. The webinar topics range in export experience from never exported to experienced exporter. Click through to see what is on offer. Open call for sponsors, partners and suppliers from the hospitality and food and beverage industries to help deliver the UK Pavilion at World Expo 2020 Dubai. 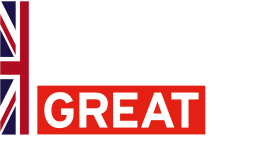 This is a unique opportunity to supply the UK pavilion at Expo 2020 Dubai and put your business at the forefront of Global Britain. Working with us, and with our hospitality partner, Global Infusion Group, to establish a presence at the largest business, economic and cultural event in the world will give you a global platform to gain significant commercial exposure and help the UK create a truly spectacular hospitality presence at World Expo 2020. Symposium Mines Guinea is established as the largest mining event in West Africa, attracting over 1500 delegates, 120 speakers and 200 companies from 40 countries. The event brings together senior government officials with C Level Executives, solution providers, investors and key stakeholders. Are you frustrated by ad hoc enquiries from all over the world? Would you like to start selling overseas but have no idea where to start? Book a 1:1 clinic with Frances Long, a specialist in export market research and selection, who will help you to prioritise overseas markets using a software tool and market data to identify which markets around the world you should be targeting. Click through to find out more and book a meeting. This mission is designed for companies from Latin America and Caribbean. The Agenda will take place alongside Innovate Finance Global Summit 2019, the largest domestic Fintech event of the year, convening 2,000 industry stakeholders for two days of keynotes, roundtables and meetings at London’s Guildhall. DIT will also offer an exclusive agenda with our specialists to help your company setting up in the UK. The purpose of this Business Breakfast is to see how UK Export Controls can help at local level those companies who are new to using export licensing or even not aware of the controls. Evidence is found in non-compliance across a variety of business sectors. This seminar will help with understanding and using licences correctly (which can result in incorrect declarations being made to HMRC). Over 2000 decision makers from the world of sport, representing over a 1000 organisations, attend the SportAccord World Sport & Business Summit. This includes over 100 International Sports Federations as well as cities and regions, sponsors, host and bid cities, Games Organising Committees, rights holders, media and suppliers to the sports event industry.  The Department for International Trade (DIT) is offering UK companies the opportunity to be part of SportAccord 2019 and to raise their profile above other international delegates. Join the Department for International Trade (DIT) at the Offshore Technology Conference (OTC), where energy professionals meet to exchange ideas to advance scientific and technical knowledge for offshore resources and environmental matters including oil and gas. OTC gives you access to leading-edge technical information, the industry’s largest equipment exhibition and valuable new professionals. Satellite 2019 is the key global event in Sat Comms sub-sectors and participation is key to growing the UK’s export potential. Department for International Trade (DIT) will create a one-stop-shop for UK space businesses and international buyers with an exhibition stand including 1-2-1 meeting and seminar space. Department for International Trade North West, AVITUS Group, and market specialists offer a seminar that describes the 12 steps to enter the US market, establish your business, and operate successfully. A panel of expert speakers will ensure you gain an understanding of American government agencies, workers, consumers covering routes to market, intellectual property, finance, visa and immigration. FSIC, now in its 7th year, takes place 8th to 10th May 2019 in London. AFSIC is a highly focused investment event and is believed to be the largest Africa investment event taking place annually in Europe and one of the most important Africa investor events globally. Over 200 of Africa’s most important investors and business leaders are already confirmed as speakers. The success of the event resulted in it being SOLD OUT due to high demand in 2018 so early booking is advised. Click through to learn more. On 9 and 10 May the Department for International Trade in The Netherlands is leading a mission to one of the biggest tech conferences in Europe; The Next Web in Amsterdam. This free workshop will give you all the information you need to understand the potential for your company overseas. From May 16th to 18th the Department for International Trade (DIT) France will host a pavilion at France’s largest tech conference, Viva Tech. Click through to learn more. Marketing is delivering the right message, to the right people, at the right time. Digital platforms have opened up global markets and the opportunity to win new business across the world has never been greater. Please note this is a practical event aimed at North East based businesses interested in trading internationally or wanting to learn more about the service Department for International Trade North East (formerly UKTI North East) provides. Join the Department for International Trade (DIT) at Africa Health 2019, Africa's largest gathering of healthcare professionals. Join our visit to the largest Biotechnology and Pharmaceutical convention and partnering event in the world. This event is organised by the East Midlands. Join over 600 leaders in government and business from the UK and around the world to mark the centenary of UKEF and celebrate 100 years of innovation. The event will feature expert speakers and focused workshops across a range of trade and finance themes, with plenty of opportunity to engage and interact with the financial sector’s specialists. Annecy International Animation Film Festival is the industry’s foremost showcase in terms of co-producing, purchasing, selling, financing and distributing animation content for all broadcasting platforms. The exhibition hosts over 800 international companies and 11,000 industry professionals. The Department for International Trade (DIT), Animation UK and key UK industry bodies are combining efforts to raise the profile of the UK’s animation sector as this major international event. The UK’s Department for International Trade is proud to announce the Europe Female Founders in Tech Mission to attend London Tech Week 2019. Click through to learn more and register. Exhibitions offer a powerful opportunity to promote your company and develop impactful business relationships across the globe. Exhibiting at these events can involve a large investment, but with a well-constructed exhibition plan your business can get a high return on investment. This half day training on Middle East business culture will help you to improve your communication with partners in the region. Knowing your way around the dos and dont’s in business culture will save you from uncomfortable miscommunications. The Department of International Trade North West (DIT) is looking to organise a Trade Mission to Chemspec 2019 in Basel from 26th to 27th June 2019. This half day training on Central & Eastern Europe business culture will help you to improve your communication with partners in the region. Knowing your way around the dos and dont’s in business culture will save you from uncomfortable miscommunications. This half day training on German business culture will help you to improve your communication with partners in the region. Knowing your way around the dos and dont’s in business culture will save you from uncomfortable miscommunications. Come along to our free event to hear about our exciting new plans and why you should seriously consider joining with us. This half day training on Chinese business culture will help you to improve your communication with partners in the region. Knowing your way around the dos and dont’s in business culture will save you from uncomfortable miscommunications. This half day training on American business culture will help you to improve your communication with partners in the region. Knowing your way around the dos and dont’s in business culture will save you from uncomfortable miscommunications. UK rail suppliers are invited to sign up to exhibit on a Railway Industry Association (RIA) arranged UK Pavilion at AusRail PLUS 2019 being held in Sydney, Australia. The pavilion has the support of 12 Department for International Trade (DIT) Tradeshow Access Programme (TAP) grants worth £2000 per UK SME company. Download the UK Pavilion at AusRail PLUS flyer for more information.